I will be holding my Annual Exhibition once again at Sneaton Castle. 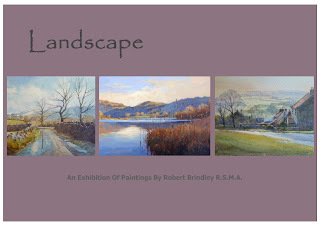 The Exhibition will be entitled "Landscape" and on show & for sale, will be new works mainly in Oil & Watercolour, depicting scenes both local & father afield in addition to 60+ unframed original paintings. As well as the paintings, there will also be a selection of Limited Edition Signed Prints, Books, DVDs and a large range of Greetings Cards for sale. The Exhibition will be open from 10am to 4pm daily with free admission. If you are not on our Mailing List & wish to join us on the evening of Friday 24th May for the Preview, please contact me.